The sentencing of the man responsible for a renting scam involving local university students was postponed again this morning. The delay is due to one condition yet to be agreed upon for a joint sentencing recommendation between the Crown and the defence. The sentencing was also delayed because defence lawyer Lyle Howe says he was only given the pre-sentence report the morning before the hearing. Outside the court, Howe told reporters that defendant Cyrano Carette is looking for a conditional sentence, to be served in the community. This is the second time Carette’s sentencing has been delayed. Judge Marc Chisholm adjourned his hearing in September at Halifax provincial court because the defendant missed his appointment for a pre-sentence report. Carette pleaded guilty this summer to 15 fraud charges and one theft charge after taking damage deposits from multiple university students for a property that was not available for rent. The scam involved a property close to Dalhousie University, at the corner of Robie and Cedar Streets. 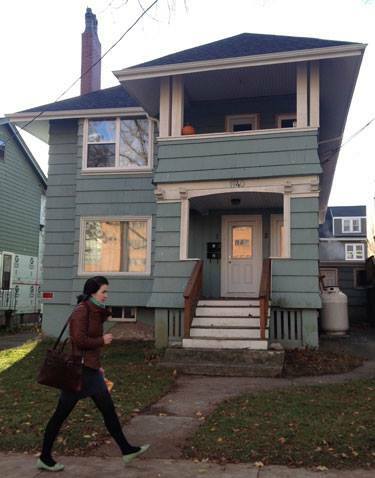 According to a CBC story published this July, Carette attracted at least 30 potential renters in 2012, including Halifax university students, through an ad on Kijiji and collected first month’s rent and a deposit from them. After Carette stopped responding to one of the victims, she issued a warning on Kijiji that the rental agreement was a scam. Carette was arrested last September, after tenants went to move in and Carette was nowhere to be found, taking off with an alleged $10,000. Carette’s sentencing has been rescheduled to Nov. 28.